There’s something timeless about a cane or rattan chair, don’t you think? They look great in just about any style home including coastal, boho or Hamptons-inspired interiors. When I first laid eyes on this dining room designed by Donna Guyler (pictured above) I was immediately drawn to those gorgeous Kulu chairs from Uniqwa Furniture. They really do add a lovely natural element to the room. 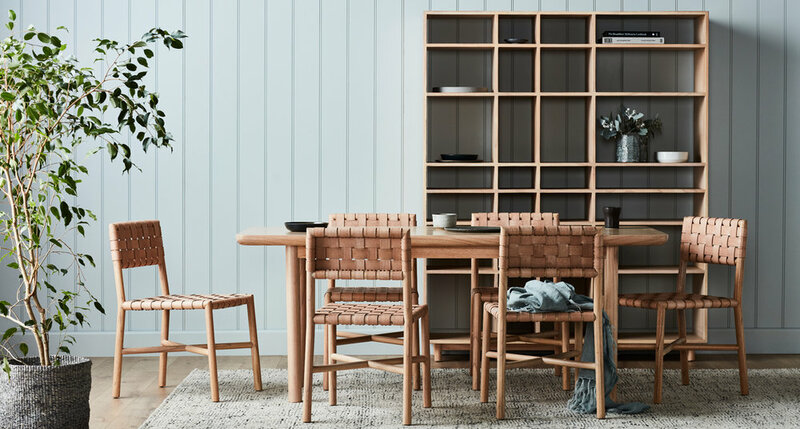 I also adore these bistro chairs from Naturally Cane in Maddy Evennett’s home pictured below (as featured in the new Winter edition of Adore). 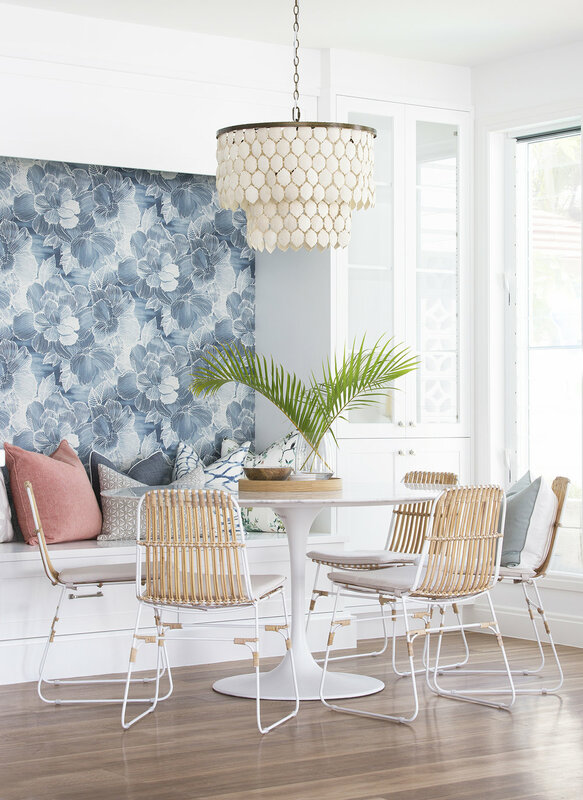 This other bistro chair option from Provincial Home Living (pictured opposite) is also a great option if you’re looking to achieve a classic coastal/Hamptons vibe. If you’re looking to add a touch of elegance to your dining room, a velvet chair is the way to go. It’s luxurious, soft, and also a great way to inject some colour into your interior. GlobeWest have a number of velvet pretties – their Claudia dining chair (pictured below) comes in dark green, navy or grey. Meanwhile their Daphne and Lucille chair in navy velvet (both pictured above) are more oh-so-glamorous options. I can't decide which is my favourite! I also adore this Jane chair from West Elm (pictured opposite) – it comes in a lovely soft blush colour or this vibrant teal pictured, and well those brass legs offer a touch of glam too. Whether you go for real deal or a faux look-a-like, leather chairs can bring a nice warmth and masculinity to any dining room. Whether your style is contemporary, coastal or industrial, there’s a leather chair to suit you! The Seth chair from Clickon Furniture (pictured above) is a great option – it has curves in all of the right places and a super slick black sled base. If it’s something a bit more industrial in style, Industria X’s Canteen chair (pictured opposite) is a winner. And its powder coated metal frame can be painted in practically any colour you fancy. Woven leather chairs are another popular option – these are a perfect match for coastal homes. 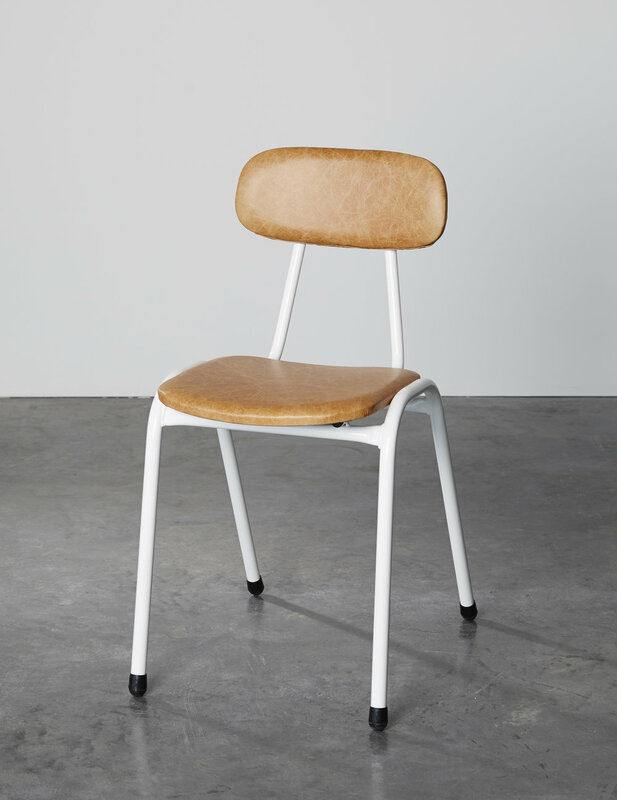 The Seed chair from GlobeWest (pictured below) is a personal favourite of mine. Newer PostMy apartment is for sale!